Maybe it is testimony to the self-confidence of the middle distance runner; maybe it’s a collective delusion; or maybe it’s just plain stupidity. One the strangest anomalies of championship qualifying rounds is that, even when athletes know exactly the minimum time required to progress to the next round as a fastest loser, they all think they’re going to qualify automatically. I’ve seen it happen so many times in the last 30 years or more of reporting major championships that it was no surprise to witness the phenomenon again in the final men’s 1500 metres heat on Day One of London 2012. With six to qualify automatically from each of the three heats, to progress to the semi-finals, the first two heats were won in 3.35.15 and 3.39.42. The sixth place in those heats were respectively 3.37.00 and 3.40.34. For the guys in the final heat, all of whom had run faster than 3.37.00 this year, some considerably faster, it was, as Brother Yank says, a no-brainer. 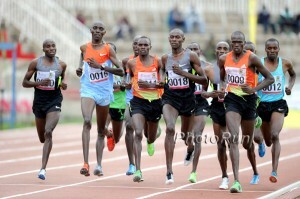 Yet the runners were content to loiter around the 800 metres in 2.03.50, compared to 1.57.37 and 2.00.03. It only got worse. With the bell at 3.01.27 (2.54.12 and 2.58.57), a burn-up was assured. But so was the melee which ensued in the back straight. Nixon Chepseba of Kenya, 3.29.77 this year, got caught in the ruck, tripped, couldn’t properly get going again, and was run out of it. The whole farrago ensured that no one from heat three qualified as a fastest loser, and Chepseba was fortunate to be given a free pass to the semis, after a Kenyan appeal. Nor were his collegues, defending champion Asbel Kiprop and Silas Kiplagat comfortable in their heats either.  Ultimately, it was a reminder to runners like the trio of Kenyans – the only ones under 3.30 this year – that paced races on the circuit are no substitute for proper championships racing. From the ridiculous to the sublime. Having criticised Tirunesh Dibaba in the past for being a boring and parasitical tactician, especially following her Beijing victories, I can only marvel at the way she controlled the women’s 10,000 metres at the conclusion of Day One in Olympic City. 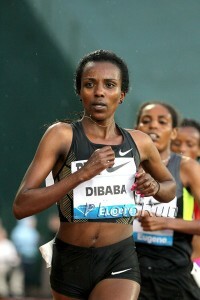 When a woman as talented as Dibaba is content to sit on slower runners for lap after boring lap, before streaking away on the final circuit, it does little for the reputation of Ethiopian women or distance running. But, with many feeling that Vivian Cheruiyot, last year’s double world champion from Daegu, was going to break the Ethiopian stranglehold in the 10k, Dibaba responded by being an active participant throughout the race, once the adventurous trio of Japanese was reeled in after halfway. And with the pace winding up from the sixth kilometre onwards, the Ethiopian always looked likely to successfully defend her title. As she did, in style; testing the remaining Kenyan pair of Kipyego and Cheruiyot in the penultimate kilometre, responding to their attempts to dictate the pace, then striding imperiously away with all of 500 metres to go. It was a magnificent display; and will give Ethiopian officials much pause for thought, because Dibaba is only reserve for the 5000 metres later this week. Should they decide to give her the opportunity – the heats are next Tuesday, August 7 – it would be hard for anyone to prevent her doing the Olympic double again.